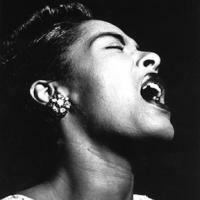 Tuesday, April 7th, marks the 100th birthday anniversary of the one and only Billie Holiday. We'll be celebrating this milestone with a weeklong centennial broadcast in Lady Day’s honor, featuring her entire 1933-1959 discography, as well as on-air interviews with musicians and scholars. WKCR has a precedent of commemorating Holiday and her incredibly important contributions to vocal jazz, jazz as a whole, and Black music in our annual birthday broadcast schedule and in a special 360-hour Billie Holiday Festival that aired in 2005. Join us from Sunday, April 5th through Friday, April 9th as we spend a week listening to and examining the life, career, and distinctive sound of Lady Day. Known for her hauntingly honest inflections and ever-evolving lyrical virtuosity, Billie Holiday has certainly earned her title as the jazz vocalist. Born Elinore Fagan in Baltimore in 1915, Holiday spent her childhood and adolescence learning songs by Louis Armstrong and Bessie Smith. In 1929, Holiday teamed up with tenor sax player Kenneth Hollan and slowly built her reputation as a vocalist, replacing Monette Moore at a club called Covan’s on West 132 Street in 1932. When producer John Hammond came to Covan’s to see Moore, he found himself instead captivated by Holiday, and proceeded to secure Holiday a record deal. After producing her earliest recordings with Benny Goodman in the early 1930s, Holiday soon began to record under her own name, collaborating with great artists of the swing era, including Lester Young and Roy Eldridge. With pianist Teddy Wilson, she manipulated the melodies of dull pop songs for jukeboxes, adding her signature emotive phrasing. In 1939, Holiday courageously chose to record the political “Strange Fruit” with Commodore Records when Columbia rejected the song’s sensitive subject matter, producing what many deem to be one of the most powerful anti-lynching protest anthems of the early 20th century. Holiday continued producing studio and live recordings until her tragic death in 1959. Our festival will involve both show-specific programming throughout the week, as well as a 48-hour continuous broadcast on Tuesday, April 7th and Wednesday, April 8th. To begin, the Sunday, April 5th, “Jazz Profiles” (2-7pm) and Monday, April 6th, “Daybreak Express” (5-8:20am), “Out to Lunch” (12-3pm) and “Jazz Alternatives” will consist of "Lady Day 101" programming, featuring some of Holiday's most acclaimed recordings, as well as archived interviews with Lady Day scholars and Holiday herself. The culminating event, the 48-hour broadcast on Tuesday and Wednesday, will look at a range of Holiday's work, including pivotal live sets, regional sessions, her small group and big band work, notable band members, and more. The centennial festival will conclude with more show-specific jazz programming on Thursday, April 9th, and Friday, April 10th, with both days’ “Daybreak Express” (5-8:20am), “Out to Lunch” (12-3pm) and “Jazz Alternatives” (6-9pm) focusing on Holiday’s career and featuring interviews with scholars, as well as instrumentalists and vocalists inspired by Holiday.